I must admit it took me several attempts to buy one but after seeing the buy 2 get 1 free promo in our local supermarket, I knew I just had to grab it. 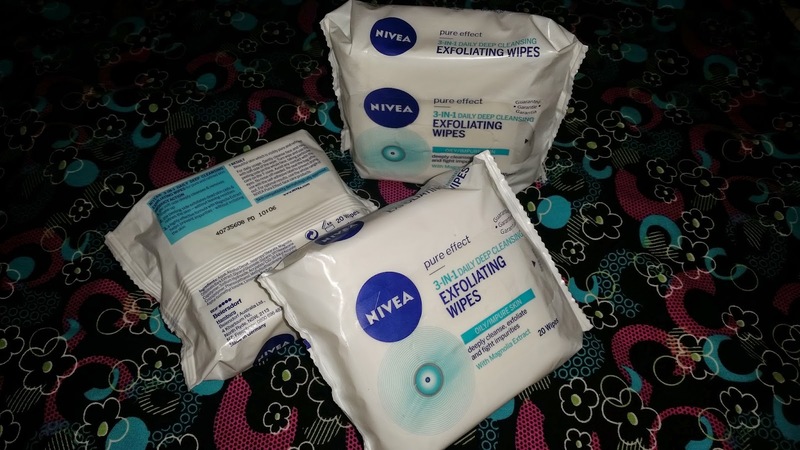 There's another variant intended for sensitive skin called the Nivea Gentle Facial Cleansing Wipes but because of my oily combination and acne-prone skin, I opted for the exfoliating wipes instead. First thing that caught my attention was the texture. It may look rough on this picture but I guarantee you it's gentler than how it appears. 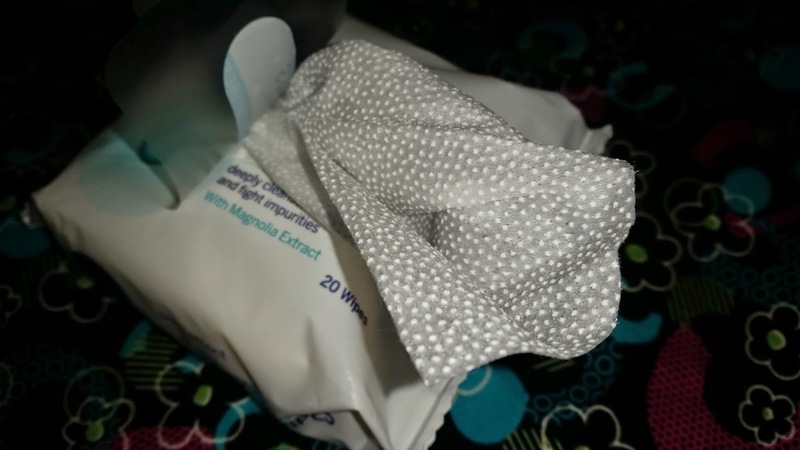 It won't scratch your face even if you wipe with pressure. I love how one side is textured and the other is smooth because you get to enjoy both in one sheet. I use the smooth surface to initially remove make-up followed by the textured side to exfoliate and refine my skin especially on the T-zone. 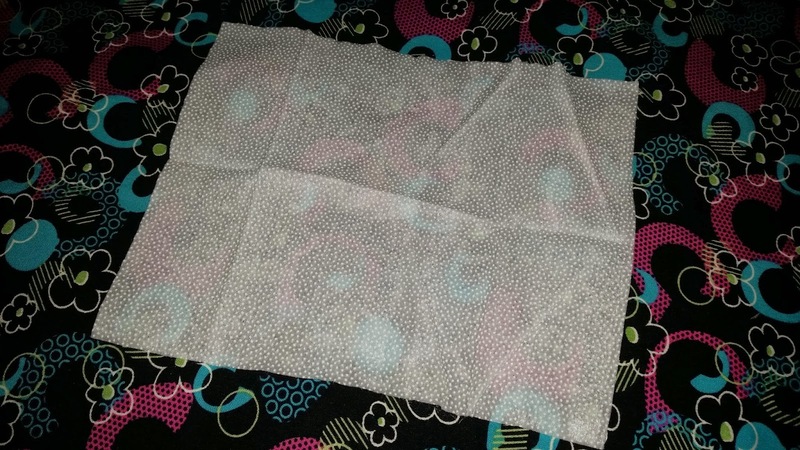 Each cleansing wipe is fairly large that one sheet is enough for single use. I have a tiny issue about the scent because it has that masculine smell but good thing it doesn't linger. 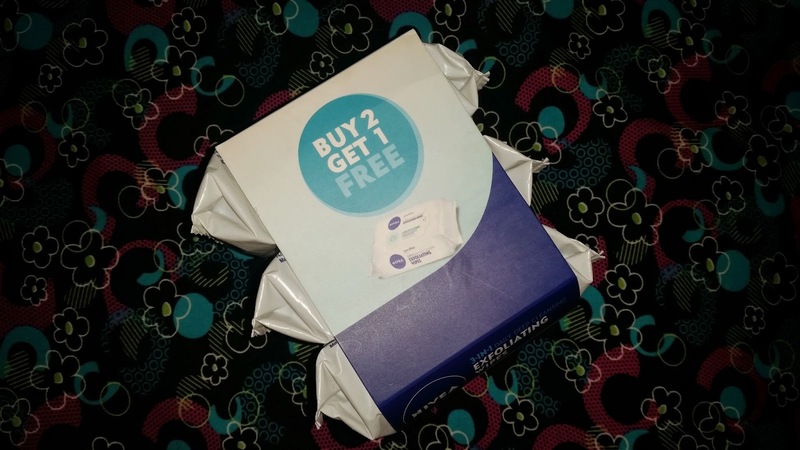 I really enjoy the refreshing feeling it provides my skin after each use and most importantly I love how it effectively cleanses my face without the sting even on the eye area. 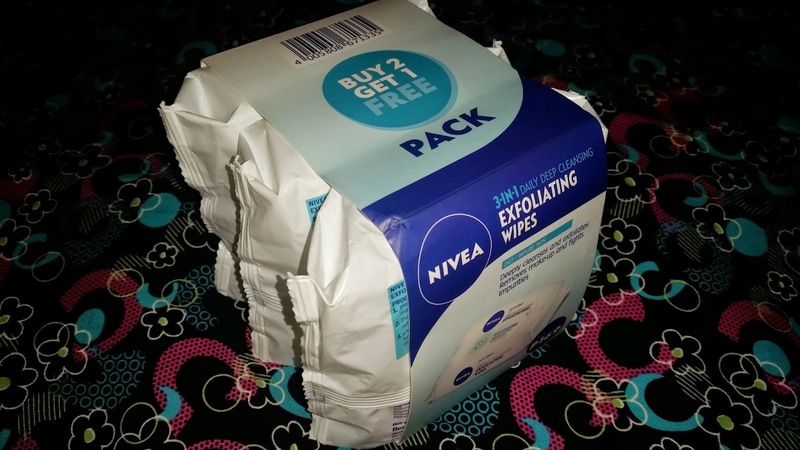 Overall, I am obsessed with this new wonder product from Nivea and I will definitely repurchase when it runs out. I recommend it to everyone even to those who don't wear make-up but still want to experience deep cleansing at the end of the day. Go get yours now! Make sure to visit your local supermarket because that's where I got mine (Pure Gold) and surprisingly, I didn't see the same promo elsewhere especially at the mall. What do you think? Do share them on the comments section below. Thank you for your time and have a great week ahead! 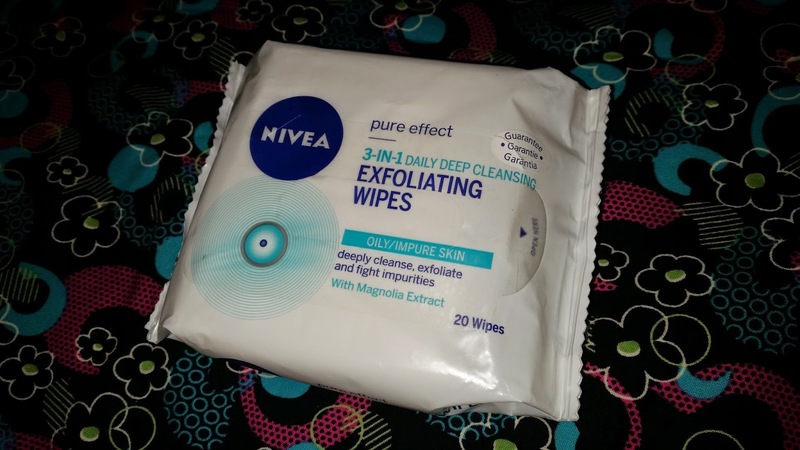 I love the scent of this wipes and it can thoroughly remove my makeup, its so nice you managed to get this promo! :) Its a perfect hoard.